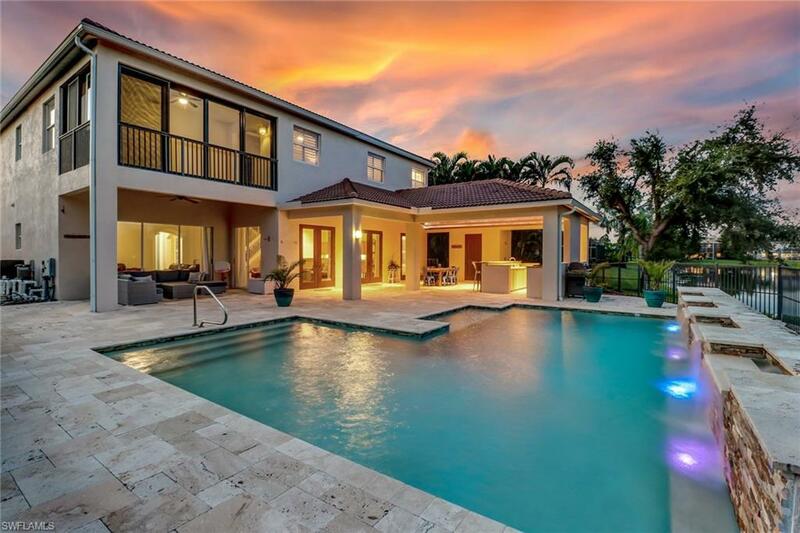 14607 Indigo Lakes Cir, Naples, FL 34119 (MLS #218068736) :: Clausen Properties, Inc. 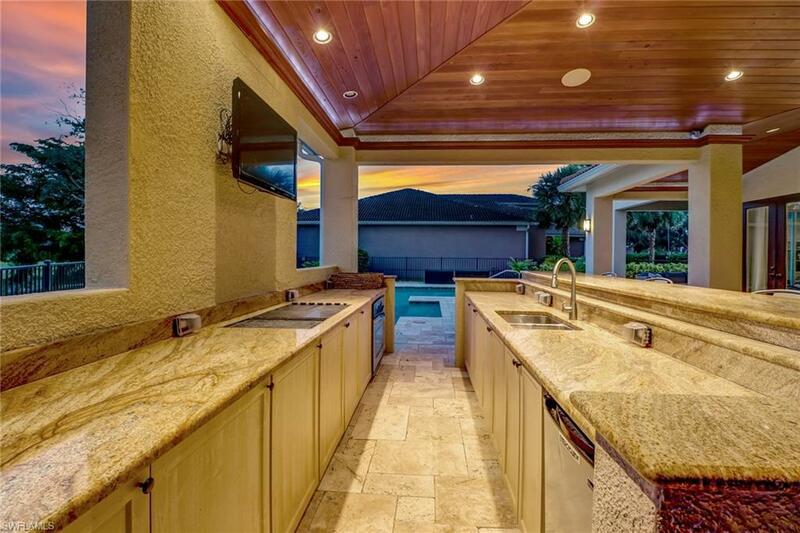 This entertainer's dream home features an incredibly unique outdoor kitchen/pool combo akin to million dollar properties and must be seen to be appreciated. 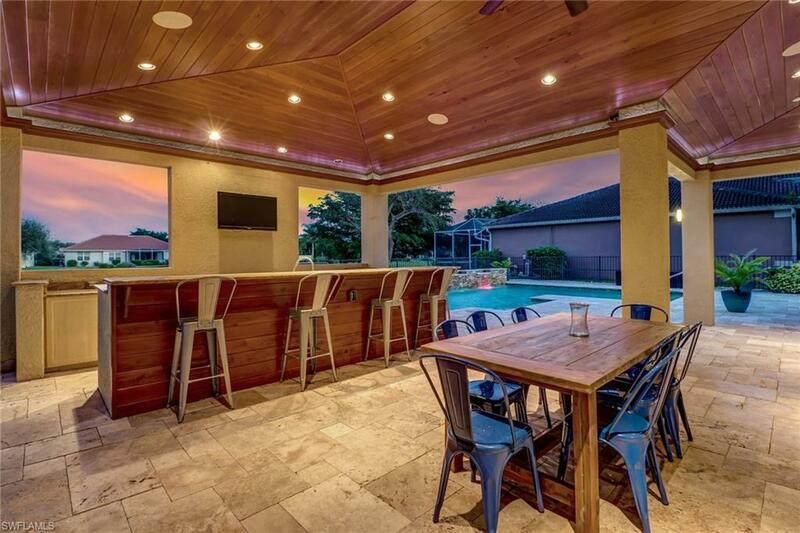 High-end quality finishes include travertine stone pavers in the popular french pattern, teak tongue and groove ceiling details, coastal pool bath and granite countertops with built-in grill, fridge, dishwasher and more. 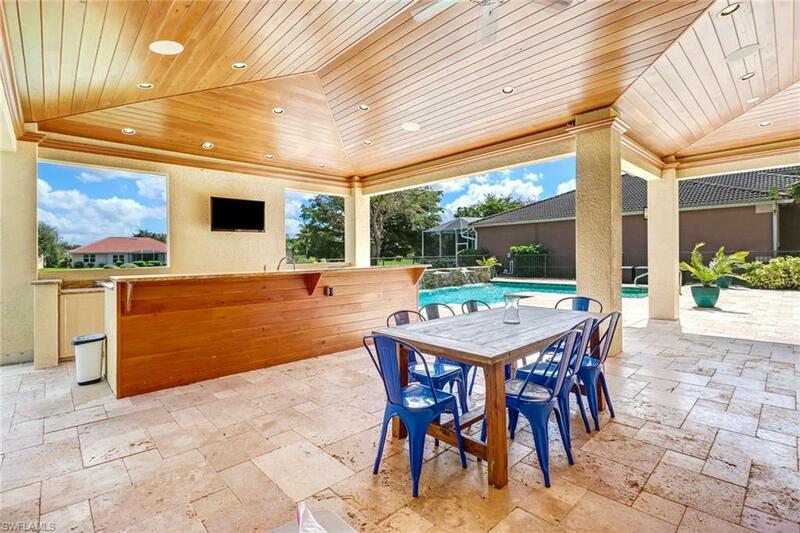 Ample entertaining areas for your largest gatherings with a gorgeous lake backdrop. A 3 car garage with one of the longest driveways in the community completes this fabulous outdoor package. Inside is a functional floor plan with one bedroom suite downstairs (could be used as a den), family room/flex space, formal dining and massive kitchen great-room with french doors to the resort patio. Upstairs, large families will enjoy 5 additional bedrooms, 3 bathrooms, and an over-sized bonus room/theater space. Featuring two laundry rooms and ample storage throughout. Many recent updates made in 2016 including updated bathrooms, plank tile, plantation shutters, contemporary trim and crown molding, stainless appliances and more. Ideal location close to North Naples' best schools, restaurants, shopping and more.